It’s the season of giving. Yes, it is. 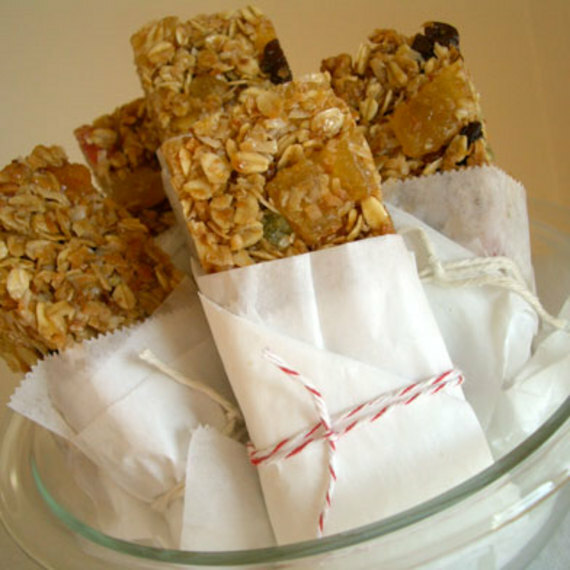 This Christmas season, give the gift of all-natural yummy goodness – Homemade Granola Bars. You can wrap them up and surprise your coworkers, friend and family members. 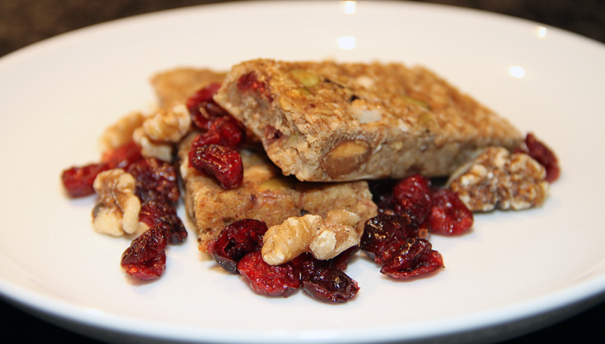 I love sharing these with my clients as it makes a perfect after workout snack. Preheat oven to 350F and line an 8 inch square pan with parchment. 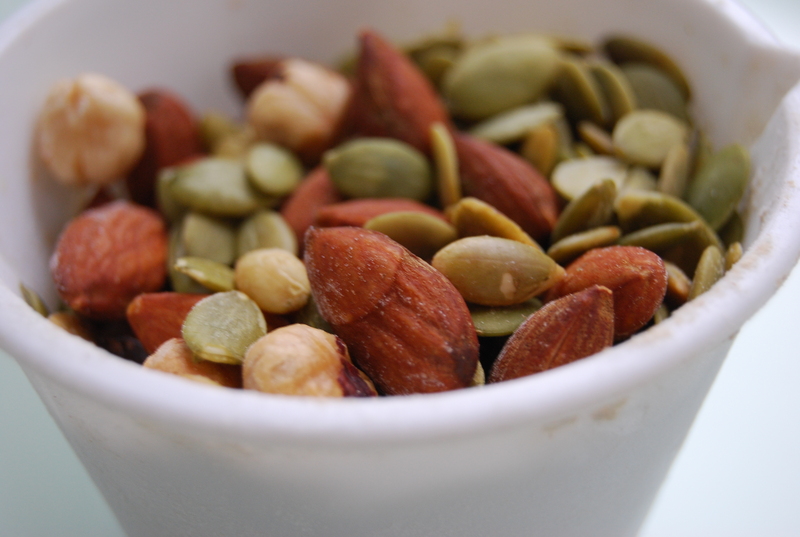 In a medium bowl, combine agave, ground flax seeds, almond milk, oil, and vanilla. Whisk together. 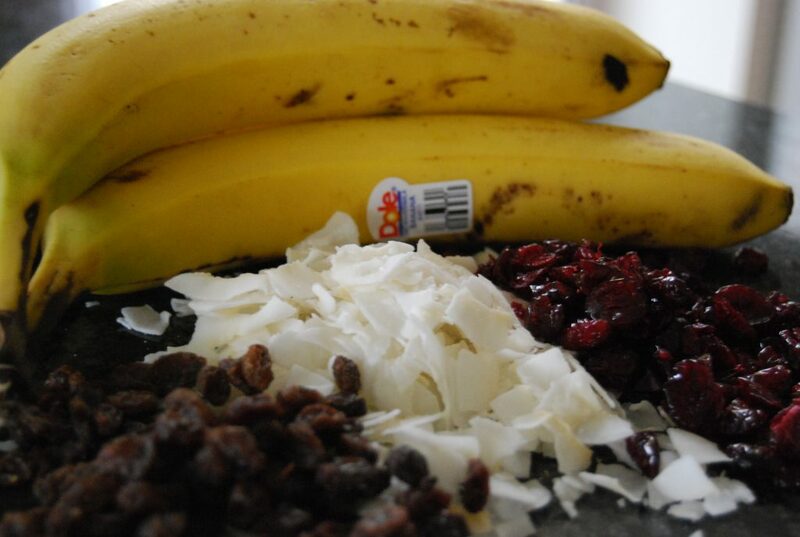 Mash bananas with fork and stir into the wet mixture. Stir in the cranberries , raisins and nuts & seeds. Set aside. 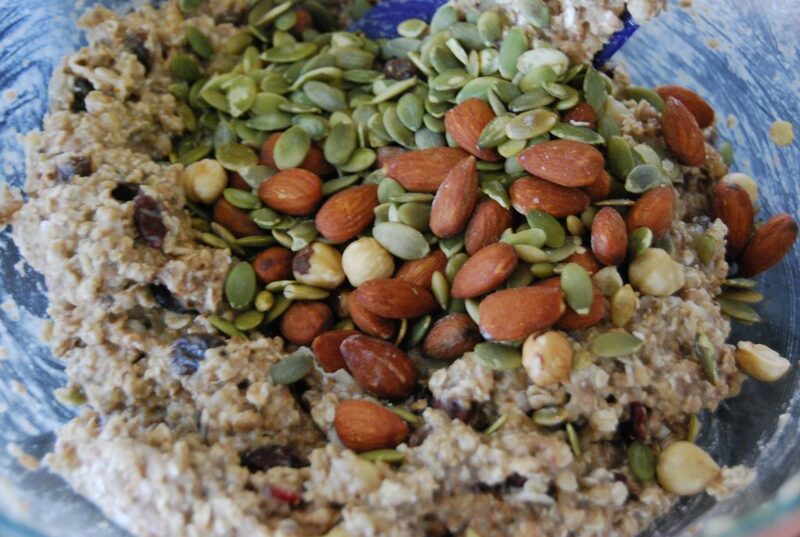 In another bowl, mix your dry ingredients. Scoop the granola batter into the pan. Smooth out with a spoon or hands and press it down firmly. Bake at 350F for 35-40 minutes until the edges begin to golden and it is slightly firm to touch. Allow to cool in pan for 10 minutes before transferring to a wire rack and cooling completely.